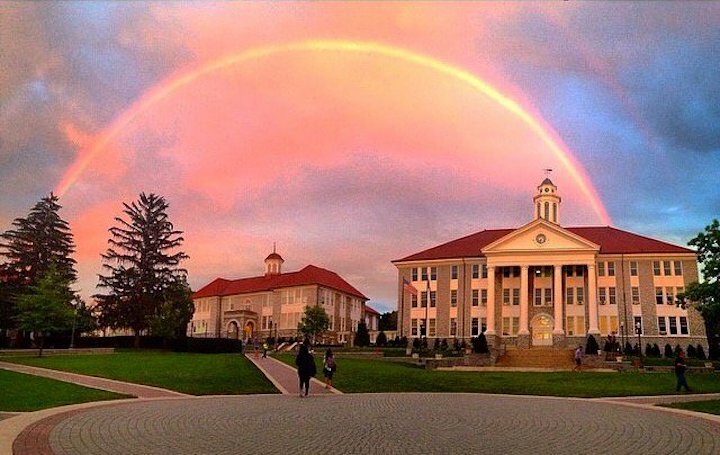 James Madison University (also known as JMU or Madison) is one of the most frequently searched universities in America, according to a recent internet keyword search of American colleges. The university, established in 1908 as a women's college, is now a public, co-ed research university. The school attained university status in 1977, and currently offers both undergraduate and post graduate degrees to an enrollment of more than 22,000 students. The student body of JMU represents all 50 states and about 89 foreign countries. The acceptance rate at JMU is about 20 percent. The school and its programs have ranked very highly with elite publications such as Bloomberg Business, Kiplinger Magazine, Newsweek, Princeton Review, and U.S. News & World Report, among others. There is an entire Wikipedia page devoted to notable JMU alumni. They include many professional athletes, musicians, writers, actors, politicians, and university professors, among others. 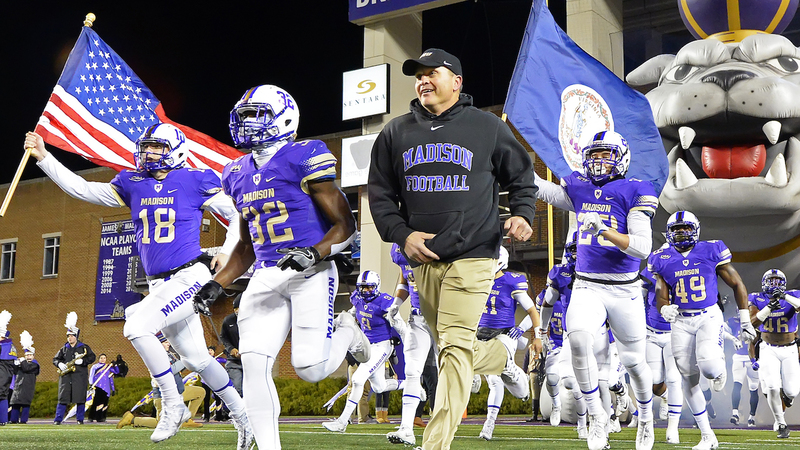 Here are the answers to some frequently asked questions about JMU. 1. Where is James Madison University? 2. What programs are offered at James Madison University? The university offers about 115 undergraduate and post graduate degree programs in many fields of study. Above: No, gentlemen, you may NOT join this JMU sorority. 3. How much does it cost to attend James Madison University? Additional fees may also apply. These may include application fees, student orientation fees, lab fees, late fees, materials fees, graduation fees, and others. 4. 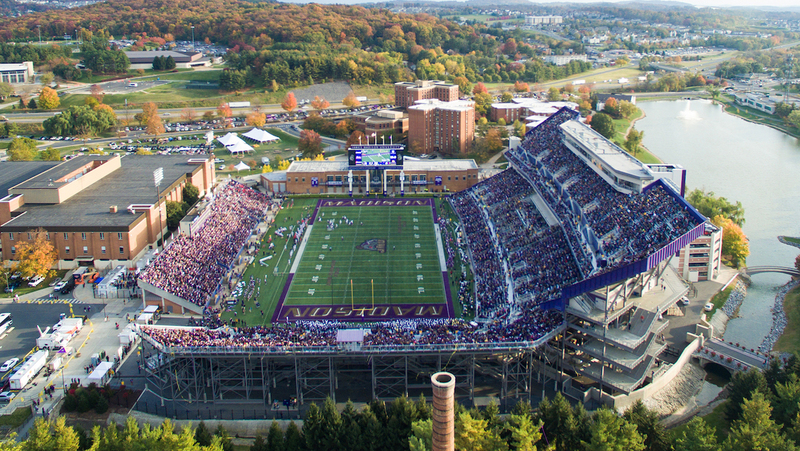 What is the James Madison University campus like? The campus of JMU spans 721 acres, including a 125-acre arboretum and a lake that occupies almost 10 acres. The campus is home to 148 buildings. Campus buildings include the College of Integrated Science and Technology, the Chemistry and Physics Building, the University Recreation Center, the Festival Conference and Student Center, a library, a book store, and a planetarium, as well as 35 residence halls. The architectural centerpiece of the JMU campus is Wilson Hall, pictured above. The campus quad is conveniently located on South Main Street, featuring all the conveniences of a college town. 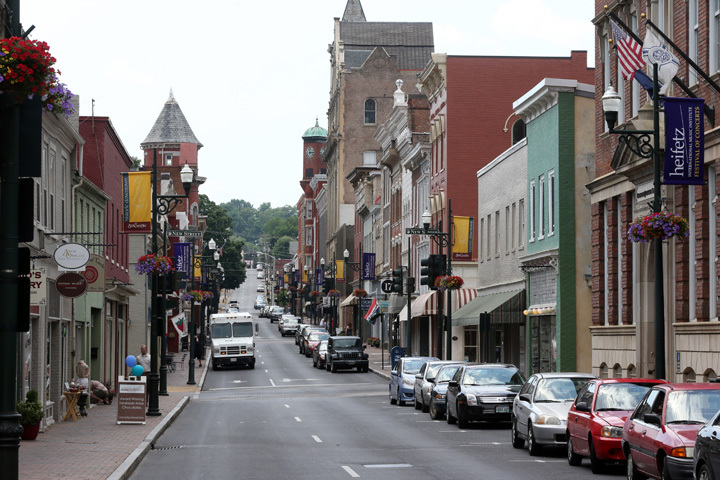 A public bus service gets students around campus and around the city of Harrisonburg. Local points of interest include several museums. In addition to sports, other campus activities include hundreds of clubs such as a speech team, a marching band, a student newspaper, a 3D printing club, an ROTC club, and an African Student Organization, to name only a few. You can even start your own club at JMU. 5. What are the distance learning options at James Madison University? 6. What is the contact information for James Madison University? You can reach an operator on the main campus of JMU by calling 540-568-6211. To reach the JMU business office, call 540-568-6505, or send a fax to 540-568-7363.